You might have noticed that there was no post last week, you didn’t miss it, it just wasn’t there. I started nursing school last week, and needed a bit of a break from the additional work from The Mason’s Lady. So what does this mean for you? Sadly, I will be switching to posts every other week, instead of once a week while I am in school for the next few years. There will certainly be times when I am able to post more often. This should mean that the posts are that much more awesome! Since school has started for myself, and for pretty much every school age child out there, I figured I would talk about a topic that was relevant to the time of year – Masonic education. Back in the day, with both speculative and operative Masonry, it was through the brotherhood that the young man received much of his education. Within operative Masonry, that is, stone cutters and building-builders, becoming a Mason meant literally becoming an Entered Apprentice; this is how he would learn his craft, and when he had mastered the craft and was able to take his own apprentices, he was called a Master Mason. When speculative Masonry, or Freemasonry as we know it today, came about, formal education past a certain age was only for those who were extremely rich or talented. However, when a young man was able to become a Mason, the group made sure that he was not without education. During the Fellowcraft degree, there is a lengthy (I believe about 13 pages) lecture called the middle chamber lecture. It is here that the brother receives his formal, yet nontraditional education. The topics covered in the middle chamber lecture include: Order in Architecture – Tuscan, Doric, Ionic, Corinthian, and Composite; The Five Senses of Human Nature – Hearing, Seeing, Feeling, Smelling and Tasting; and The Seven Arts and Sciences – Grammar, Rhetoric, Logic, Arithmetic, Geometry, Music, and Astrology.Many of these topics now seem common sense to us, but remember that (for the most part), this is the same lecture given to candidates since the 1700’s. Another important item used in Masonic education were tracing boards (note, these are different from trestle boards, as T and I discovered). Initially, these were chalk drawings on the floor or table where the Lodge met. 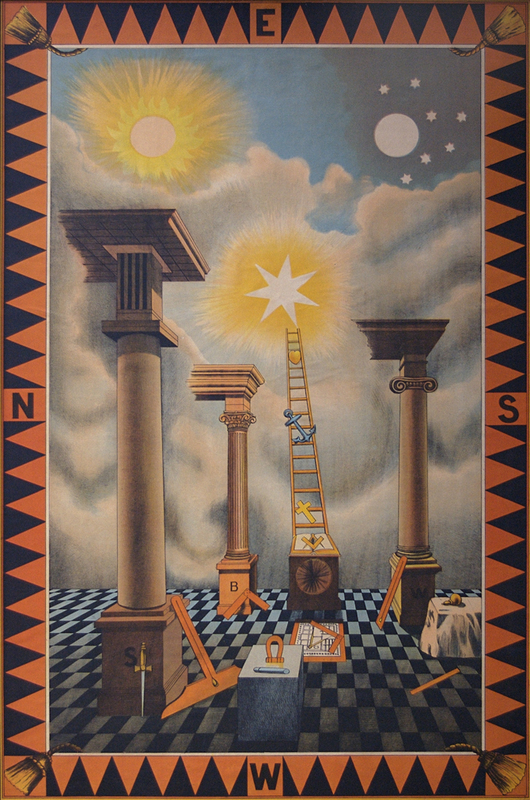 Before the degree, or during, various Masonic symbols or emblems were drawn by the Worshipful Master or Tyler. These were used to make reference to during the degrees, a symbol being pointed to at the appropriate time in the degree. These were then mopped up or wiped away by the candidate afterwards, to help remind him of his oath to secrecy. After print became more readily available, permanent tracing boards were made. The symbols included often range from degree to degree, and Lodge to Lodge. They have since fallen out of favor. Masonic education has come a long way. A candidate no longer relies solely on the education provided during the degrees, in fact, for most people the information given is a nice review of the third grade. As I said before, tracing boards have fallen out of favor, and slowly, but surely, Lodges are beginning to add technology to their Lodges, and some use power points or short animations instead. 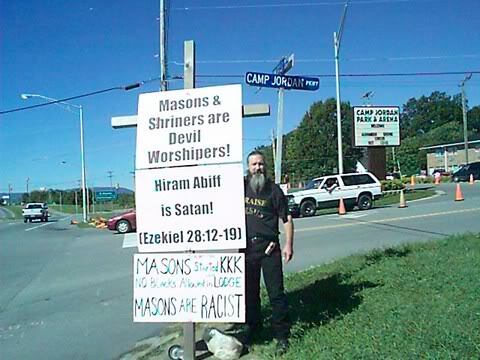 The internet is teeming with Masonic information, some correct, and some not so much. A word of advice: take everything you read about Masonry online with a grain of salt; although you can find all of the degree work online, it will mean so much more to you if you don’t know what’s coming when you receive them. However, since Masonry seems to always be slow to get with the times, your best bet for education is always books. Macoy’s Books – Macoy carries books on just about any Masonic topic you could ever want. One of the best things you can do for yourself, and for Freemasonry, is to educate yourself about it.After you drop the kids off at school, take the time to pick up a book yourself, even if its just for a few minutes. Get out there and learn!